“Corporate wellness” sounds like an oxymoron. Fitness and a typically sedentary job don’t usually go together, but organizations of all sizes are adopting employer-sponsored health programs. And, according to Susie Davis, senior community health specialist for WakeMed Health and Hospitals, most everyone loves it. For employers, one benefit is monetary. Studies show that for each dollar invested in health programs, employers save between $3 and $6 in reduced health-care costs. In addition, having a wellness program reduces staff turnover, so companies are better able to attract and retain valuable workers. From the employee side, benefits include a reduced number of sick days, more energy and improved mood. Some companies offer a direct financial reward in terms of cash, gift cards or insurance premium discounts. Some even give away extravagant prizes, such as a weekend at the Grove Park Inn in Asheville. Would you be able to resist vying for that incentive? There is no “typical” workplace wellness program – they are as varied as the companies that enact them. The 40-member HensonFuerst Cycling Team, which trains and rides in fundraising events throughout the year. 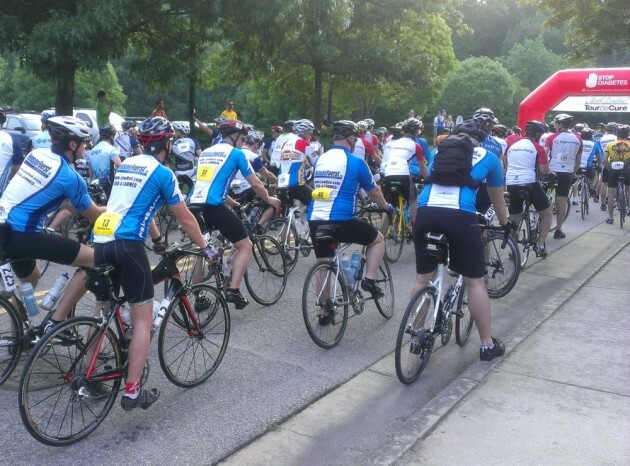 In 2013, our team raised about $35,000 in our biggest event, the American Diabetes Association’s (ADA) North Carolina Tour de Cure. HensonFuerst Health & Fitness Challenge, a competition between our two main offices – Raleigh and Rocky Mount. Employees compete as individuals and as a team on measures of activity, weight loss and smoking cessation. We award gift cards quarterly to the individuals with the highest point totals. Beyond the obvious health and fitness improvements, we’ve found that this program also encourages teamwork, improves intra-office communication and adds to the firm’s sense of pride. 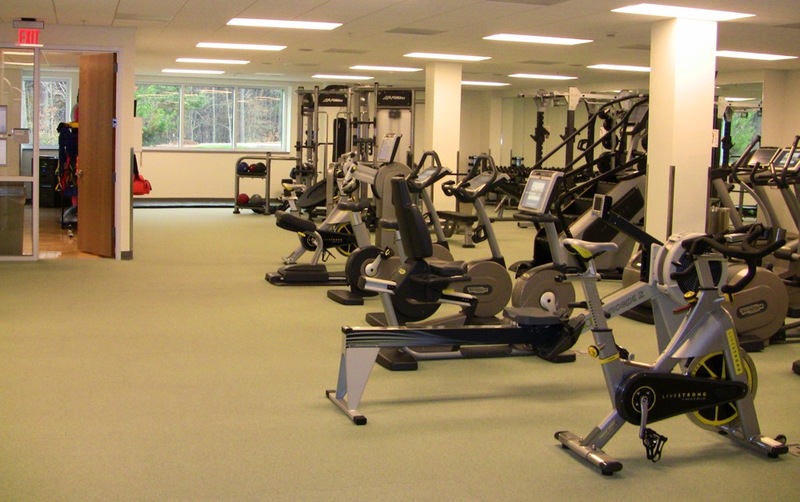 Biogen Idec’s health-and-wellness program includes on-site fitness center and gym memberships and a stipend for discounted health insurance for completing the annual health assessment. Their menu of programs is enough to make a fitness fan drool: The Rolling Clones Cycling Club, Fearless Runners Club, onsite Weight Watchers, Get Fit challenges, nutritional counseling, cooking classes, walking trails and more. According to Biogen Idec, by creating and supporting a culture of wellness, employees can improve their overall health status. In turn, healthy employees can focus more fully on their jobs. Their investment has paid off. In 2012, Biogen Idec RTP was recognized in the Triangle Business Journal as one of the top 20 healthiest companies in the Triangle. And the 2012 annual employee health assessment data showed improvement in multiple areas, including immunizations, diabetes, blood pressure, stress management and weight loss. Regardless of size, employers across North Carolina are getting the message that health programs are win-win-win – for the employer, the employee and ultimately the customers who rely on a company’s products or services. That’s good news for WakeMed Health & Hospitals, which plans and implements these programs for many organizations in the Triangle and surrounding areas. In fact, their client list has more than doubled in the past five years. Davis and her team work with a company’s goals and budget to design the right program. Many companies start with biometrics, or health screening – blood draws and other physical measurements that tell a story about the overall health of the organization. Participating employees are usually offered a discount on insurance premiums for meeting health goals. Another popular option is education, including one-on-one health coaching for high-risk employees, online consultations or in-person classes. One of the most popular seminars starts with WakeMed’s team visiting four restaurants near the target worksite, then leading a discussion of the healthiest options with employees. It’s a kind of “good, bad, ugly” assessment of menu items to keep employees eating healthfully during lunchtime. With our health initiative, we’ve seen our employees take giant leaps toward better health, and that makes us, as employers, proud. As a team, we’re only as strong as our weakest member. We’re always looking for new ways to put health at the top of employees’ priority list. Thomas Henson Jr. is an avid cyclist, and finds much happiness in bike rides with his family and friends. He leads the complex injury litigation department of HensonFuerst Attorneys. He can be contacted at ThomasHenson@lawmed.com.